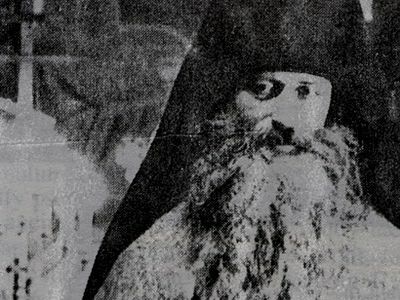 Thirty-six years have passed since Hieromonk Seraphim Rose departed this earth for the heavenly realm, and his legacy continues to gather strength as a compass for those seeking the truth in Orthodox Christianity. His books are still popular, and a number of his talks that were recorded are now transcribed and freely available. One of these talks is called “The Signs of the Times”, in which Fr. Seraphim gives an overview of trends in the modern-day world of spirituality, pseudo-spirituality, and events leading up to the coming of the antichrist. On this anniversary of Fr. Seraphim’s repose, we would like to take a look at this work, which, while containing some outdated details, is still a very important guide to us who striving to live the authentic spiritual life in a world that is increasingly at enmity with it. Fr. Seraphim’s sober, crystal-clear, yet bright and buoyant manner, coupled with his deep patristic understanding makes his writings and talks indispensible, required reading. The subject of this talk is, watching for the signs of the times. First of all, we have to know what it is meant by the phrase “signs of the times.” This expression comes straight from the Gospel, from the words of our Savior in Matthew 16:3. Christ tells the Pharisees and Sadducees who came to Him, “Ye can discern the face of the sky,” that is, tell what the weather will be; “but can ye not discern the signs of the times?” In other words, He’s telling them that this has nothing to do with science, or with knowing our place in the world, or anything of the sort. It’s a religious question. We study the signs of the times in order to be able to recognize Christ. This same passage in the sixteenth chapter of St. Matthew speaks further about signs. 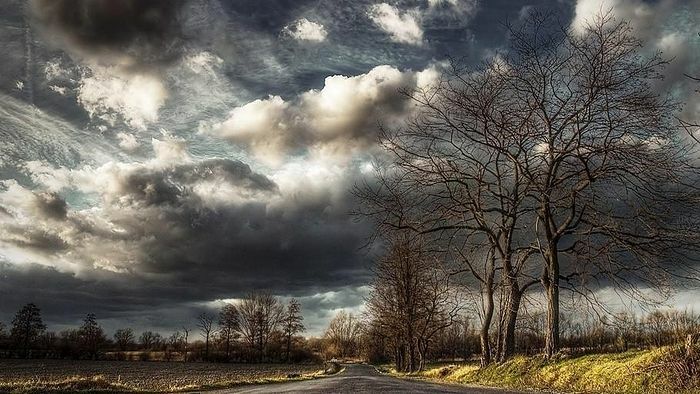 Our Lord told the Jews, “An evil and adulterous generation seeketh after a sign, and there shall no sign be given unto it, but the sign of the prophet Jonah.” The events of the Old Testament contain prefigurations of events in the New Testament. When Jonah was three days in the belly of the whale, this was a prefiguration of our Lord’s being three days in the tomb. And this sign—the sign of Jonah—was given to the people of Christ’s time. Our Lord was telling the Pharisees and Sadducees that an evil and adulterous generation seeks for spectacular events—that is, fire coming down from heaven, or the Romans being chased away, angels manifesting themselves and banishing the foreign government of the Romans, and things of that sort. Christ told them this kind of sign would not be given. An evil and adulterous generation seeks after this, but those who are pure of heart seek rather something more spiritual. And the one sign that is given to them is the sign of Jonah. Of course, it is a great thing that a man should be three days in the grave and then rise up, being God. Thus, from our Savior’s words, we know that we are not to watch for spectacular signs, but we are rather to look inwardly for spiritual signs. Also, we are to watch for those things, which according to Scripture must come to pass. We Orthodox Christians have already recognized and accepted the signs of Christ’s First Coming. The very fact that we’re Orthodox Christians means that we’ve done this. We know what these signs mean: for example, the sign of Jonah, the 490 years of Daniel, and many other things that our Lord fulfilled. Our Orthodox Divine services are filled with Old Testament prophecies, which were fulfilled in the coming of Christ. These we all see and recognize—it all seems clear. But now we have to look for different kinds of signs, that is, the signs of the Second Coming of Christ. The whole teaching about the Second Coming of Christ and the signs which will precede it is set forth in several places in the Gospels, especially in the twenty-fourth chapter of St. Matthew. St. Mark and St. Luke also have chapters about this. This chapter of St. Matthew tells of how our Lord departed from the Temple, and how his disciples came to him to show him the buildings of the Temple. Of course, in those days the Temple was the center of worship. Every Jew had to come to the Temple at least at Pascha—the Passover—for here alone was where God could be worshipped in the right way. Our Lord looked at the Temple and told His disciples, “See ye not all these things? Verily I say unto you: There shall not be left here one stone upon another, that shall not be thrown down.” To tell a believing Jew at that time that the whole Temple is to be thrown down, that nothing is to be left of it, is like saying it’s the end of the world, because the Temple is precisely the place where God is supposed to be worshipped. How are you going to worship God if there’s no Temple? So these words of our Savior made the disciples start thinking about the end of the world. They immediately said, “Tell us, when shall these things be? and what shall be the sign of Thy coming, and of the end of the world?” In other words, they already knew that He was going to come again and that this would be bound up with the end of the world. Then our Lord gives a whole set of signs that are to come to pass before He comes again. First of all He says, “Take heed that no man lead you astray. For many shall come in My name saying, ‘I am Christ’; and shall lead man astray.” That is, many false Christs will come. This we’ve already seen throughout the history of the Church: those who have risen up against the Church, those who have pretended to be God, pretended to be Christ. Then comes the next sign, which is: persecutions. “Then shall they deliver you up unto tribulation, and shall kill you, and ye shall be hated of all nations for My name’s sake.” So, first we have false Christs, then wars, rumors of wars, famines, earthquakes, persecutions—and then a very important sign for our times concerning the growing cold of love: “Because iniquity shall be multiplied, the love of many shall wax cold.” This is the most deadly of all the signs, because the sign of Christians, as St. John the Theologian tells us, is that they have love for each other. When this love grows cold, this means that even the Christians are beginning to lose Christianity. Then another sign, in the next verse of the twenty-fourth chapter: “This gospel of the kingdom shall be preached in the whole world for a testimony unto all the nations, and then shall the end come.” This sign of the Gospel being preached unto all the nations we see about us now. The Gospel itself is produced in hundreds of languages now to almost all the tribes of the earth, and Orthodox Christianity is being preached in almost every country of the world. In Africa there are great missions: in Uganda, Kenya, Tanzania, the Congo, and spreading out from there. Then a more difficult place: our Lord speaks concerning the abomination of desolation which is spoke of by Daniel the prophet. “When you see the abomination of desolation standing in the holy place (let him that readeth understand).” That is, you’re supposed to understand this from something else. This is another sign. It is concerned, of course, with the Temple in Jerusalem and some kind of desecration of it. Just after this time, something even worse begins to come. Verse 29 reads: “Immediately after the tribulation of those days, the sun shall be darkened and the moon shall not give her light, and the stars shall fall from heaven, and the powers of the heavens shall be shaken.” Such an event, of course, has never been before, and this obviously refers to the time just at the end of the world, when the whole of creation prepares to be annihilated in order to be refashioned. Finally, the next verse: “And then shall appear the sign of the Son of Man in heaven,” that is, the sign of the Cross will appear in the sky. “And then shall all the tribes of the earth mourn, and they shall see the Son of Man coming on the clouds of heaven with power and great glory.” That is, the very coming of Christ shall be in the heavens with the sign of the Cross—and that is the very end of everything. All this is in the twenty-fourth chapter of the Gospel of St. Matthew. But all of this, for anyone not thoroughly acquainted with Scriptures and the writings of Holy Fathers, almost raises more question than it solves. We must understand what the meaning is of all these prophecies. How can we know when they are really being fulfilled? And how can we avoid false interpretations? Because there are many false Christs, false prophets, false prophecies, false interpretations. How can we know what is the true interpretation and what are the true signs of the times? If you look about you and go to any religious bookstore, you will see shelves containing many books of commentaries on the Book of Revelation (The Apocalypse), books with interpretations about the coming end of the world. In fact many Christians who are not Orthodox have a very definite feeling that these are the last times, but they all give interpretations based upon their own opinions. The first thing we must have if we are going to have the true interpretation of the signs of the times is something we can call, basic Orthodox knowledge. That is, knowledge of the Holy Scripture, both the Old and New Testaments (and not just according to the way it seems, but according to the way the Church has interpreted it); knowledge of the writings of Holy Fathers; knowledge of Church history; and awareness of the different kinds of heresies and errors which have attacked the Church’s true understanding of dogma, and especially of the last times. If we do not have a grounding in sources such as these, we will find ourselves confused and unprepared. That is precisely what our Lord tells us: to be ready, to be prepared. Unless we have this basic knowledge, we will not be prepared and we will misinterpret the signs of the times. A few years ago a book was printed in English which has become a fantastic bestseller for a religious book. It has sold over ten million copies in America. It’s called The Late Great Planet Earth by Hal Lindsey, a Protestant Evangelical in Texas. In a rather superficial style he gives his interpretation of the signs of the times. He believes it’s the last times we are living in now. He believes that everywhere around us there are being fulfilled these signs which our Lord talked about. If you read this book, you find that sometimes he gets something more or less correct according to our Orthodox understanding, sometimes he is totally off, and sometimes he is partly wrong, partly right. It’s as though he’s just guessing, because he reads the Scripture according to his own understanding. 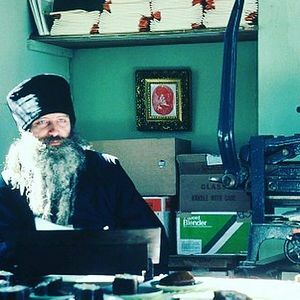 He has no basic Orthodox Christian knowledge, no background in the true knowledge of the Scriptures and the Holy Fathers. Therefore, if you read this book seriously, you will find that you become very confused. You don’t know what to believe any more. He talks, for example, about a millennium that is supposed to come before the end of the world. He talks about the rapture, when Christians are supposedly gathered up into the heavens before the end of the world, and then watch how the people suffer down below. He talks about the building of the Temple in Jerusalem as though this is a good thing, as thought this is preparing for Christ’s coming. If you read such books as this (there are many other books like it; this one happens to be a bestseller because the author caught the imagination of people just at one particular time), and if you take them all as truth, you will find that instead of recognizing Christ—which is the whole reason for our understanding about the signs of the times—you will be accepting Antichrist. The antichrist. Miniature on the apocalypse. Take, for example, the very question of the Temple in Jerusalem. It is true, according to Orthodox prophecies, that the Temple will be rebuilt in Jerusalem. If you look at people like Hal Lindsey, or even the Fundamentalist Carl McIntire, they are also talking about the building of the Temple, but they’re talking about it as though we are building it in order for Christ to come back and reign over the world for a thousand years. What they are talking about is the coming of Antichrist. The millennium, according to the Protestant interpretation, as being a special thousand-year reign at the end of the world, is actually the reign of Antichrist. In fact, there have already been people who have arisen and proclaimed their thousand-year kingdom, which is going to last until the end of the world. The last one was Adolf Hitler. This is based upon the same kind of chiliastic idea: that is, interpreting the millennium in a worldly sense. The actual thousand years of the Apocalypse is the life in the Church which is now, that is, the life of Grace; and anyone who lives it sees that, compared to the people outside, it is indeed heaven on earth. But this is not the end. This is our preparation for the true kingdom of God, which has no end. There are many books of basic Orthodox knowledge now available. Those who are seriously concerned about studying the signs of the times should first be very well versed in some of these books, and they should be reading them, seriously studying them, and having them as daily food. 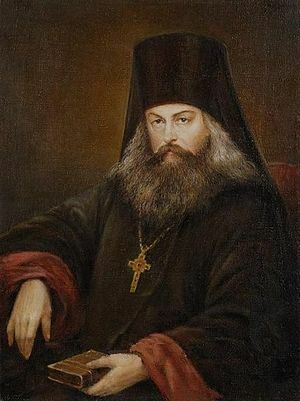 The best books to read are not someone’s interpretation of Revelation (the Book of Apocalypse) because right now there’s not really any Orthodox interpretation of this in English [see Commentary on the Apocalypse by Archbishop Averky (Taushev), published after this talk was given.—O.C.]. The best books are the basic spiritual textbooks. First of all there are basic texts of Orthodox dogmas, the various catechisms. One of the best is the eighth-century work of St. John Damascene, On the Orthodox Faith, which goes through the whole of the catechism. An even earlier one is St. Cyril of Jerusalem’s Catechetical Lectures, that is, lectures prepared for people about to be baptized, which goes through the whole Creed and tells what the Church believes. There are many similar books of catechism, both in ancient times and in more modern times. More recently we have the catechisms in Russian of Metropolitan Platon and Metropolitan Philaret, which are a little shorter and simpler. Then there is a different kind of book: commentaries on Holy Scriptures. There are not too many of these in English [see St. Cyril of Alexandria’s commentary on the Scripture (Logos, six volumes) and The Explanation of the New Testament by Blessed Theophylact, Archbishop of Ochrid and Bulgaria (Chrysostom Press) published after this talk], but we do have some of the commentaries of St. John Chrysostom. This area is a little bit weak in English, because there are many good books in Russian that are not in English yet, including more recent books of commentaries on the Scriptures, even on the Apocalypse. Archbishop Averky’s books are very good, but they’re just being put into English now. God willing, before too long, they will be out. Then, besides these two kinds of books—basic catechism and commentaries on Scripture—there are all the books on Orthodox spiritual life. These include the Lausiac History (which tells about how the monks lived in Egypt, and how they fought spiritually), the Dialogues of St. Gregory of Rome, the Lives of Saints, The Ladder [of Divine Ascent] of St. John, the Homilies of St. Macarius the Great, the books of St. John Cassian, the Philokalia, Unseen Warfare and St. John of Kronstadt’s My Life in Christ. These books deal with basic Orthodox spiritual life, spiritual struggle, how to discern the wiles of the demons, how not to fall into deception. All of them give a basic foundation by which to understand the signs of the times. Then there are the works of more recent writers who are in the same patristic spirit as the ancient Holy Fathers. 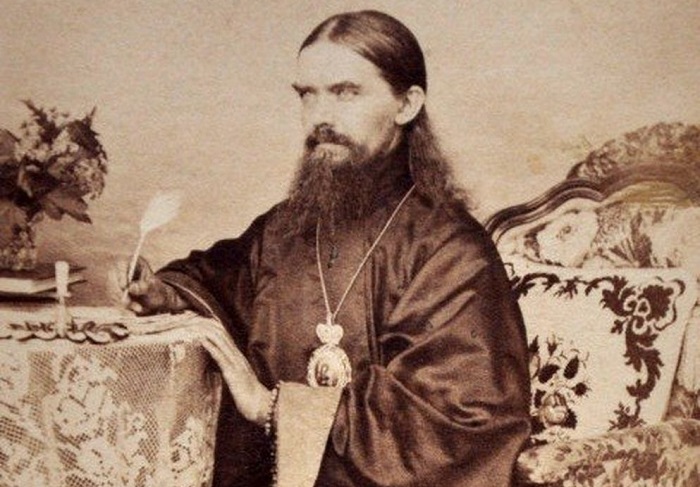 The main examples are the two great writers of nineteenth century Russia, St. Theophan the Recluse and St. Ignatius Brianchaninov, whose works are now coming out gradually in English. Bishop Ignatius’ book The Arena and various articles by St. Theophan are in English [now in English are St. Theophan’s Kindling the Divine Spark, Path to Salvation, The Spiritual Life and How to Be Attuned To It]. 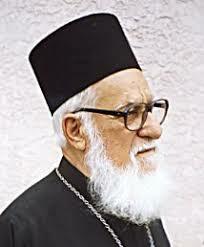 These two writers are very important because they transmit the patristic teaching down to our times. They have already explained many questions that arise concerning how to understand the Holy Fathers. For example, the new Orthodox Word has a whole text of Bishop Ignatius on the toll-houses which the soul meets after death. Sometimes, in reading the Holy Fathers, one has questions on such subjects and doesn’t quite know how to understand what the ancient Fathers say, and these more recent Father explain these texts. There are the histories of the Church, which tell of God’s revelation to men and how God acts with regard to men. It is very instructive to read the stories of the Old Testament, because exactly the same things repeat themselves in the New Testament. Then one should read, along with he New Testament, the histories of the New Testament Church. For example, there’s a pocketbook of Eusebius’ History of the Church, which traces the history of the Church down through the first three centuries, written from an Orthodox Christian point of view. It’s very important to see what early Church writers saw was important in the history of the Church: the martyrs, the apostles, and so forth. So, all these different kinds of writings help to prepare us with basic Christian knowledge; that is, catechisms, commentaries on Scripture, books on spiritual life, more recent patristic books in this same spirit, and histories of the Church. Before we do too much reading about what specifically the signs of the times mean, we should have a basic background in all of these categories of books. All of them prepare one to understand something about the signs of the times. Once one has begun to prepare oneself like this, it is not merely a matter of adding knowledge up in one’s head and being able to repeat by heart certain phrases, to have exactly the right interpretation of a Bible verse, or anything of the sort. The most important thing that one acquires through reading such basic Orthodox literature as this is a virtue called discernment. When we come to two phenomena which seem to be exactly alike or very similar to each other, the virtue of discernment allows us to see which of them is true and which is false: that is, which has the spirit of Christ and which might have the spirit of Antichrist. 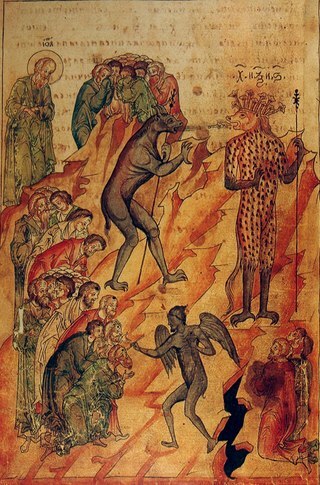 The very nature of Antichrist, who is to be the last great world ruler and the last great opponent of Christ, is to be anti-Christ—and “anti” means not merely “against,” but also “in imitation of, in place of.” The Antichrist, as all the Holy Fathers say in their writings about him, is to be someone who imitates Christ, that is, tries to fool people by looking as though he is Christ come back to earth. Therefore, if one has a very vague notion of Christianity or reads the Scriptures purely from one’s own opinions (and one’s opinions come from the air, and the air is not Christian now, but anti-Christian), then one will come to very anti-Christian conclusions. Seeing the figure of Antichrist, one will be fooled into thinking that it is Christ. We can give a few examples of how the virtue of discernment can help us to understand some fairly complicated phenomena. One such phenomenon is the charismatic movement. There is a Greek priest, Fr. Eusebius Stephanou in Indiana, who is spreading this movement in the Orthodox Church. He has a rather large number of followers and sympathizers. He’s even been to Greece and is going again soon, and there too people are sometimes quite overwhelmed by him. One can see that part of the reason for his success is that he comes from an Orthodox church atmosphere in which people, being born Orthodox, go to Orthodox church, receive sacraments, and take the whole thing for granted. 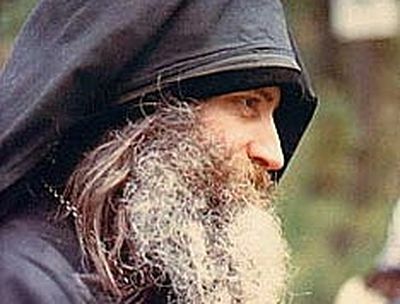 Since it becomes with them a matter of habit, they do not understand that the whole meaning of the Church is to have Christ in the heart, but that one can go through the whole of Orthodox Church life without having one’s heart awakened. In that case, one is just like the pagans. In fact, one is more responsible than the pagans. The pagans have never heard of Christ, while the person who is Orthodox and does not know what spiritual life is simply has not yet awakened to Christ. This is the kind of atmosphere from which Fr. Eusebius comes. Seeing that this is a spiritual deadness—and it’s quite true that much of what is in the Orthodox Church is spiritually dead—he wants to make it come to life. But the trouble is that he himself belongs to the same spirit. In fact, you very seldom see that he reads the basic Orthodox books. He picks one or two that seem to agree with his point of view, but he does not have a thorough grounding in the Orthodox sources. He does not think that they are the most important things to be reading. 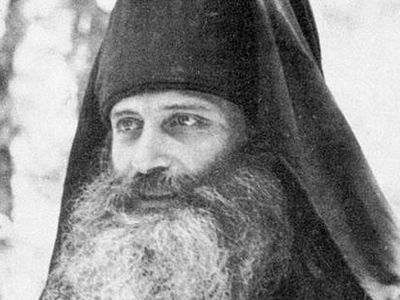 If you look deeply at what he and other people in the charismatic movement are saying—and our book The Religion of the Future goes into detail on this subject—you see that what they call a spiritual revival and a spiritual life is actually what more recent Fathers like Bishop Ignatius Brianchaninov carefully described as deception, that is, a kind of fever of the blood which makes it look as though one is being spiritual when actually one is not even grasping spiritual reality at all. In fact, it’s as different from true Christian life, which is reflected in these very basic Orthodox books, as heaven is from earth. Quite apart from the details of how they pray and what kind of phenomena manifest themselves at their services, you can see that the very basic idea which Fr. Eusebius and these charismatics have is a false idea. Yesterday we received an issue of Fr. Eusebius’ magazine, Logos. There he talks about the great outpouring of the Holy Spirit in the last times preparing for the coming of Christ. All Christians are supposed to be renewed, to receive the Holy Spirit, to be speaking in tongues. This prepares for the coming of Christ, and there will be a great spiritual outpouring before Christ comes. If you read the Scriptures carefully, without putting your prejudices into them, even without the patristic commentaries you will see that nowhere is anything said about a great spiritual outpouring at the end of the world. Christ Himself says the contrary. First he gives His teaching concerning how we should pray and have faith and not be faint. He presents the example of the woman who goes to the judge and keeps begging him to intercede in her case, and He tells us that this is how we should continue to pray and pray and pray until God hears us and gives to us. This is a very solid example about praying. Then He says, “Nevertheless” (that is, despite the fact that I’ve given you this teaching and this is the way to pray), “nevertheless, when the Son of Man comes, will He find faith on the earth?” In other words, despite the fact you’ve been given all this, there will be practically no one left who is a Christian at the end of the world. “Will He find faith on the earth?” means He will find almost no one left. There will not be flocks of people who are praying and inspired with the Holy Spirit at the end of time. All Holy Fathers who speak about this subject speak about the great terrible times at the end, and say that those who are true Christians will be hidden away and will not even be visible to the world. Those who are visible to the world will not be the true Christians. Today there are tremendous charismatic revivals at Notre Dame University, and in Jerusalem there is every year now a charismatic conference on the Holy Spirit. Sixty, seventy thousand people come together and pray and raise up their hands, and they all speak in tongues. It looks as though the time of the Apostles has come back, but if you look at what goes on there, you see it’s not the right spirit; it’s a different spirit. Therefore, when Fr. Eusebius speaks about St. Symeon the New Theologian, and about how you must know Who the Holy Spirit is and receive Him consciously, this is fine, this is good teaching—but if you have the wrong spirit, that teaching does not apply. And this is not the right spirit. There are many signs evident that it is a different spirit and not the Spirit of God. Here is one case where, if you have discernment from basic Christian knowledge, you can look at a phenomenon which claims to be apostolic and just like the times of the early Church preparing for Christ’s Second Coming, and if you look closely you can see it is not the same thing. In fact, if anything, it’s just like those who want to build the Temple for Christ. They’re building for Antichrist; it’s totally the opposite. Again, you can see how discernment enables us to evaluate other phenomena which may not be identical with Orthodox phenomenon, but are new things. When you first look at them, you wonder what they are all about. This is characteristic of intellectual fashions: something gets into the air, everybody grabs it because the times are ripe for it, and then everybody begins to talk about it and it becomes the fashion of the times. Nobody quite knows how; it’s just that everybody was ready for it, and all of a sudden somebody mentioned it and it began to circulate everywhere. A talk given at St. Herman’s Womens’ conference in Redding, California, in the summer of 1980. This talk was transcribed from the tape archives of the St. Herman Brotherhood. Fr. Seraphim gave another talk on the same subject in May of 1981, at the University of California, Santa Cruz. That talk, entitled “Signs of the Coming of the End of the World,” is available on cassette tape from the St. Herman of Alaska Brotherhood. In addition to translating the whole of Archbishop Averky’s Commentary on the Apocalypse, Fr. Seraphim translated some portions of his Commentary on the Gospels and epistles. June 15, 1924 – May 23, 2016. Although Fr. Eusebius was treading dangerous ground by imitating the Pentecostal movement, he is remembered by many as a Greek priest who tried to break out of the purely ethnic church regime. Anyone who looks at our contemporary life from the perspective of the normal life lived by people in earlier times — say, Russia, or America, or any country of Western Europe in the 19th century—cannot help but be struck by the fact of how abnormal life has become today. The whole concept of authority and obedience, of decency and politeness, of public and private behavior — all have changed drastically, have been turned upside down except in a few isolated pockets of people — usually Christians of some kind — who try to preserve the so-called "old-fashioned" way of life. If any sort of "flourishing" of Orthodox Christianity takes place, it will be a miracle and will most likely be through Russia, Georgia and the Slavonic lands. It will certainly NOT be through Greece and Istanbul! To think that weak and godless greece is going to spread the Christian faith, is an assault on reality! Your Greek people hate Christianity, and are leaving it by the droves in exchange for ancient Greek gods, atheism, western modernism, materialism, mammon, protestantism, and even some convert to Islam and the JW's! Please be realistic and stop deluding yourself! 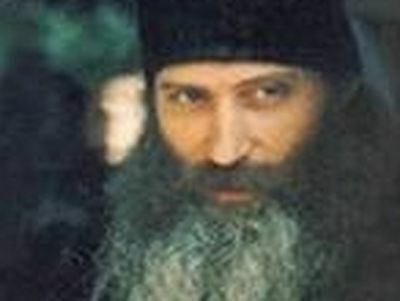 I think St. Paisios's words need to be analyzed far more critically, so that people stop misusing the saint's words! Panayotis and Anthony: wow! Do you really see anything good coming out of your hellenic lands? The Greek bishops are amongst the biggest enemies of the Christian faith in modern times with off-course the few exceptions such as Met. Hierotheos and Serpahim etc. They are doing more damage to orthodoxy than ISIS can do, and you really think that "hellenism will flourish"? Why? What good would it do anyone who loves God to see hellenism flourish? Seriously, even the Byzantine empire was not as hellenic as you two. They were speaking latin for centuries, and when they did start being hellenists it lead to their isolation and eventual downfall due to their pride! God help Macedonia=NO HELLENISM! While your sober comments are helpful they do unfortunately overlook the prophesies that tell us of a brief and final flourishing of Orthodox Christianity *before* the end times. Presently, the bulk of the world’s population lives in lands that have almost no contact with the Church. Perhaps the Lord, in his infinite wisdom and love, wills that Orthodox lands be put in a better position to share the Gospel to our brothers throughout the world who live in darkness ans delusion. After this, the end times will come. Dear brother Anthony. have you read the article? "If you read the Scriptures carefully, without putting your prejudices into them, even without the patristic commentaries you will see that nowhere is anything said about a great spiritual outpouring at the end of the world." What flourishing are you talking about my friend? Greece and other Orthodox countries are in a demographic collapse. Hardly, anyone is a "practicing" Orthodox Christian in most Orthodox countries. Hellenism? What are you talking about? This is the same ethnic pride the Jews had. Did Christ come to expand Judea? And what are you going to do with all those lands, when ordinary Greeks are leaving Greece in great numbers?